WINSTON-SALEM, N.C. (Feb. 1, 2019) - For the ninth consecutive season, Winston-Salem State University's baseball program will play a share of its home games inside BB&T Ballpark, the home of the Winston-Salem Dash. The Rams will play 23 games at BB&T Ballpark from early February to late April in 2019. Last year, the Rams posted a strong 30-20 record. Under ninth-year head coach Kevin Ritsche, the Rams have compiled 30 or more wins every season. The school re-introduced its baseball program in 2010 after a 38-year hiatus. 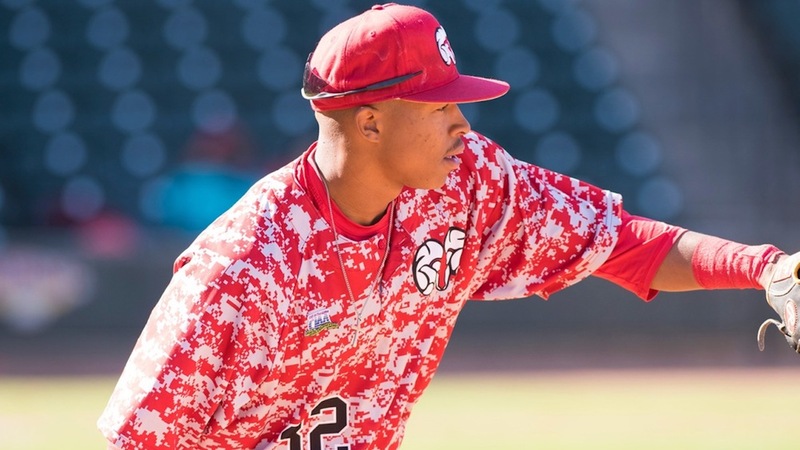 In 2018, junior outfielder Randy Norris became the first player from Winston-Salem State to be drafted by an MLB team. After becoming the program's all-time leader in hits (231), at-bats (608) and stolen bases (92), Norris was selected by the San Francisco Giants in the 19th round. "WSSU Baseball is excited to enter into its ninth season at BB&T Ballpark," said Coach Ritsche. "After finishing 30-20 last season, we are reloaded to contend for another NCAA Regional birth. We have several key returners, including Luke Spiva (INF, Winston-Salem, NC), Wellington Guzman (SS, Raleigh, NC), Cole Parks (RHP, Huntersville, NC), Nick Williams (INF, Thomasville, NC), Jalen Scott (RHP, Mocksville, NC), Tyrese Hearst (RHP, Thomasville, NC) and TJ Goco (LHP, Clemmons, NC). With key off-season additions, we expect to make our seventh trip to the NCAA Tournament in the past nine years." Tickets for all Rams games at BB&T Ballpark are $5 for adults and $3 for kids. Fans can purchase their seats on gameday at the PTI Fly Easy Box Office, which is located under the scoreboard in right-center field. Outside food and beverages are not permitted, but concession stands will be open. "Winston-Salem State baseball has been an integral part of BB&T Ballpark's 10-year history," Dash President C.J. Johnson said. "We encourage the community to come out and support these hardworking student-athletes." Full details on Winston-Salem State baseball, including the Rams' roster, schedule and much more, are available here.